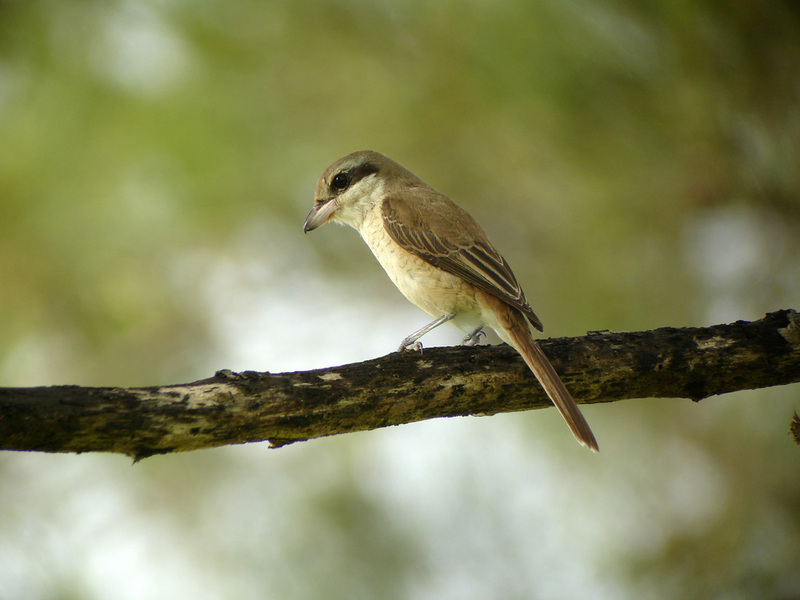 I find the Tiger Shrike Lanius tigrinus to be a lot more noisy at the end of the day than at other times. This is when you can hear its loud chattering, perhaps advertising its claim to the territory. 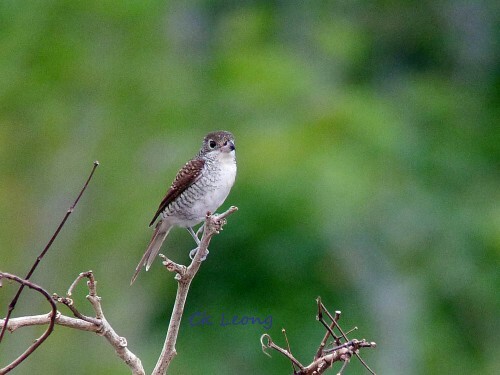 On all the occasions that I have seen this bird, it has been solitary and has a preference for the lower canopy and shrubs. A scarce winter visitor. The big question is this – is it a resident bird? 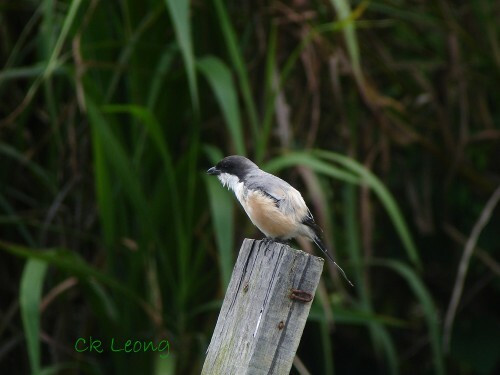 From time to time, over quite a number of years now, local colleagues and visiting birders alike have reported seeing this bird, the Long-tailed Shrike, along the road between Kundasang and Mesilau on the eastern slopes of Mt Kinabalu. Yours truly, contented and having seen this species, Lanius schach schach in Vietnam and L. s. tricolor in India never made an effort to check this bird in his backyard. Yesterday, armed with info from a friend who said he had been seeing it regularly and because it was raining higher up the mountain, I finally decided it was time to meet this beast. Saw it, got pictures of it, and was left suitably perplexed by it. The black cap of this shrike was all black and reminded me of the tricolor but didn’t quite fit the description. It was much later that I was able to look at a field guide and there it was, L. s. nasutus. The only problem was that it was supposed to be a Philippine endemic sub-species. 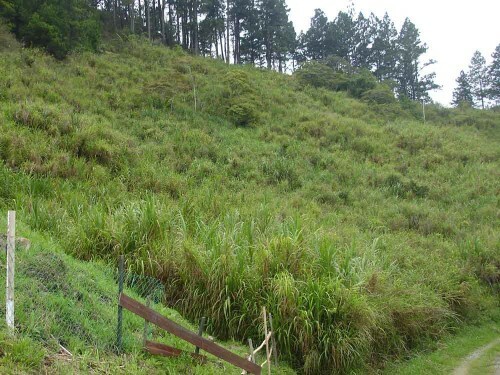 Most of the natural vegetation around Kundasang have been thrashed by vegetable farming. Having lose the native forest, a lot of the land is now grassland. Environmental concerns aside, this new “open farm and grass” habitat is almost asking for visiting grassland dwelling species to stay. 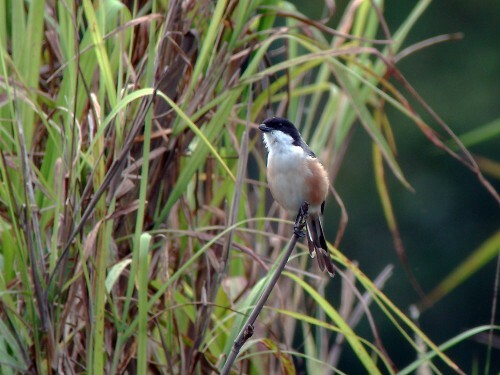 Perhaps there is going to be a problem for the local residents ( Yellow-bellied Prinia first to mind), as this Long-tailed Shrike is quite an aggressive bird. This L. s. nasutus will definitely delight you with continuous chirping song. Will it stay?